Here's where you'll find everything you need to know about setting up subscription-free TV watching alternatives to cable and satellite. It's the Cord Cutters' Guide to TVs and DVRs, so You'll Never Pay Subscription Fees Again. Look, I know it's complicated and overwhelming to get started. So, I'm hoping I can help short cut the learning curve to get you going. Great news: there are now workable alternatives to paying extremely high monthly fees for cable and satellite TV. Cord cutters of the world: it's your time to shine, and with products like what we're seeing right now on the market, there's hardly any reason to pay any subscription fees to anyone ever again. That goes not only for cable TV and satellite dish companies but also for DVR subscriptions. There are several pieces to the puzzle when it comes to building up a complete TV-watching entertainment system that gives you everything (almost) that your old cable TV subscription gave you. 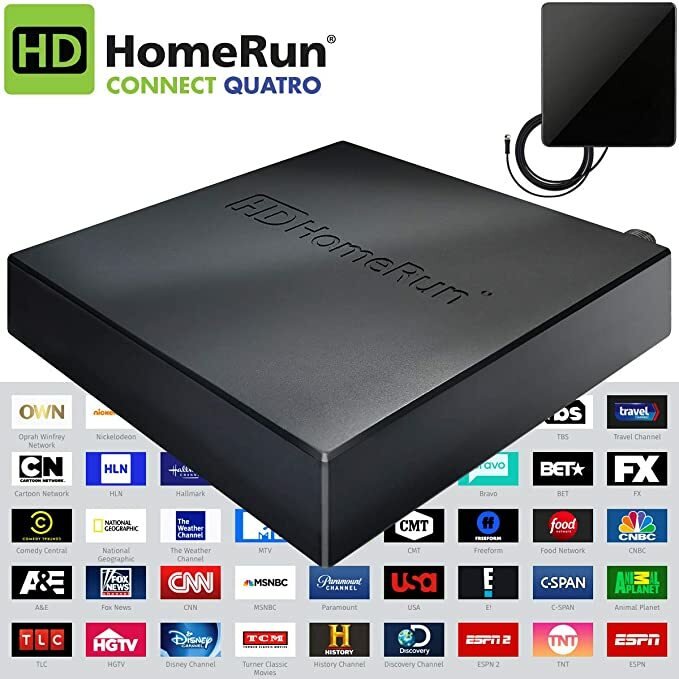 But cord cutters everywhere are making it work, simply by purchasing a few components and connecting them together in their living rooms and throughout their homes for multi-location viewing. Read these next parts carefully, and by the end of this section, you'll not only understand how everything works, but you'll also know exactly what to do next in order to cut the cord from cable or satellite and DVR subscriptions fees, and save serious money each month. interface: do you get episode names & summaries? program guide data is free? All this hinges upon the assumption that you'll be keeping your regular old TV, whatever that may be. The systems described below will work with any TV, which is part of the beauty. However, for those of you with truly old TV sets which can handle only analog signals, you'll need a digital converter box. 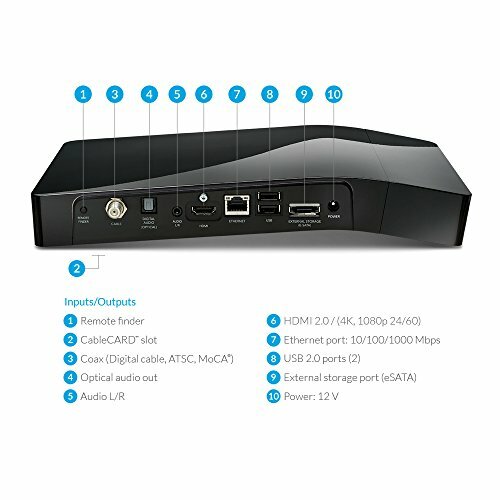 Ones such as Mediasonic's HomeWorx HDTV Digital Converter Box work perfectly without breaking the bank. So, you can go this route by salvaging your existing older analog equipment. Choose this option if you have an old tv bottom line. 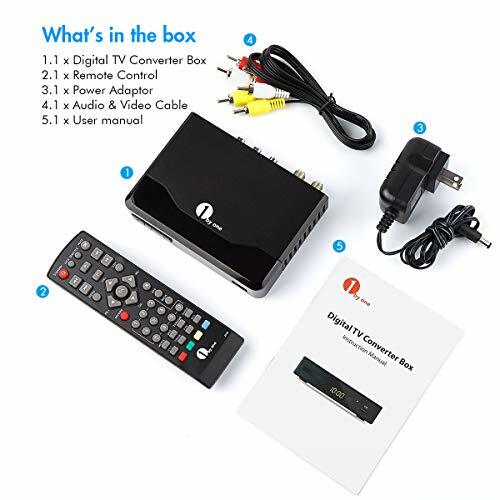 The Mediasonic has media player function, Dolby Digital and HDMI out and premium features like "Favorite Channel List", parental control, closed caption, and more. Another choice would be the Channel Master CM-7000 Review Digital to Analog TV Converter Box with S-Video. This one is incredibly easy to install and has been rated "Best Picture Quality" by a consumer testing agency. Customers love the auto-sleep function, plus the fact that many seem to notice it picks up more channels than other brands. Now if you already own a SmartTV you are already setup and you don't need this converter. You are also ready to rock since internet is built right into it and you probably already have a connection to your wi-fi router. Skip this and go to part 2 please. The Mediasonic Homeorx 180 will allow you to plug your HD antenna into the converter, convert the signal to digital and then out put it via coax cable or hdmi to your tv. Key point here, you can also use the hdmi out into your home theater. You will need to add an external USB hard drive to record shows though. It will allow you to pause and play it when you want. Again, a great place to start with a low cost entry into cord cutting utilizing your older equipment. This is by far the cheapest way to enter into cutting the cord. (see the lowest price here). The amazon does have a bundle option that will get you in the game cheap. You can also add an hdmi cable and external hard drive if you like as well but I wanted to keep this affordable for everyone first. Now, onto a more update to date solution with streaming devices. You've heard of streaming TV...Netflix, apple tv, Hulu +, or Amazon Instant Video which you can watch these services anywhere you can log in via the internet. What's awesome is that using a streaming media player, you may enjoy the services on your TV, too. You'll need to figure out how to get internet to your TV: use a router that's made for high quality video output, plus an Ethernet cable plugged into the router. WiFi is also useful here, but may not be as fast as a hard-wired connection. That removes the need to get much of your TV-watching services from Cable, but you still need live TV. After all, where would we be without our weekly installments of Better Call Saul, Scandal, or The Walking Dead? Here are you main streaming media options: Amazon Fire TV, Roku, Comcast and Apple TV. All of these devices plug into your TV via and hdmi cable. If you have a smart tv you will then have the ability plug in the amazon fire, Roku stick and comcast stick in the USB port. This will give you the ability to connect to the internet to play various movies. This alone though will not give you the digital recording you are after. 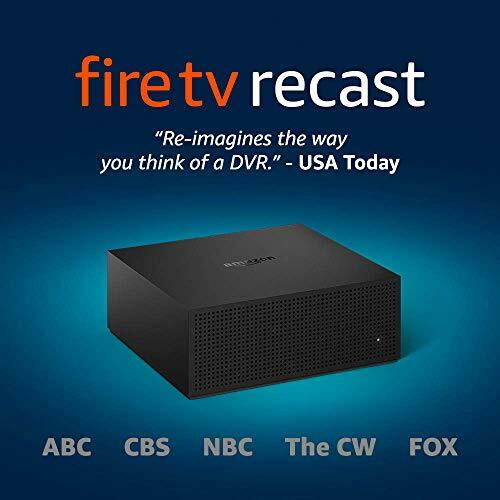 You still need the dvr device to record and store the shows and antenna. Which leads us into part 3 of what you need for the whole solution. For that, there's over-the-air (OTA) TV. For folks lucky enough to live in populated areas, most of the main digital TV channels are wonderfully available absolutely free, without a cable subscription. All you need is a digital antenna and you're good to go. The Wineguard 5500a HDTV antenna is a great choice for receiving digital tv channels over the air. It has a 50-60-mile range and customers even report up to 70. You can get ABC, CBS, NBC, PBS and Fox (and maybe more) in HD and it supports a large & stunning 1080p quality video. This is by far one of the best ones out there. Winegard has been in the business a long time and they have really put out a product that is incredible for the cheap price you pay for this hd antenna. It has a range of 60 miles but it reaches out way farther. It also comes with an amp on it that is not loud but strong. You also have the option to power it using the usb connection on your smartTV. Lastly, it's a flat style antenna where you can hang it anywhere and paint it to match your walls. You can see my a detail review for the FL5500a here. Please look at your local news channel website to see how far their towers are from you so you can decide what type of hd antenna you should buy. I'm not going for an antenna to put up in my attic, hang on my window or put in back of my tv. 🙂 The antenna that I actually settled on is the Clearstream2v. It's a 60 plus mile range antenna that you can use indoor or outdoor. It's really compact and the wife even let me put it outside and didn't care! You can see my full review of it here. But who watches "appointment TV" anymore? One thing cable subscriptions had going for them was the DVR service you got, allowing you to digitally record your shows and watch them whenever you wanted. I don't know about you, but most people don't like the thought of giving up the the ability to record live TV for viewing, so a DVR is essential as well. The only problem has always been that DVRs used to require a monthly subscription. Not any more. Channel Master has been the leading company that makes an independent DVR that works without having to get rigged into paying subscription fees. You'll be happy to hear that they do it well: after all they've been in the business since the early days of rabbit ear TV. As of 2018 there are other players in the market now that give you a variety of options. Up to this point some of you might be thinking my gosh and whole Geekness! Can you simplify this please. 🙂 So, let's do just that. First and foremost. Get a price point in your head so you have a budget. Then ask yourself am I going to use my old equipment or upgrade. After that you need to ask yourself do you have room for more devices in your area you are going to watch TV or do you want one unit that has them all combined. If you are looking to use your old equipment jump back up to Part I to use a convert. For the rest of you continue on. This is the new kid on the block put out by Amazon bringing DVR without subscription to a whole new level! It will do just about everything you need and comes out of the gate with 2 tuners. Yep you can record two shows at once! That means you can only record one show at a time. But what it lacks in number of tuners, it more than makes up for in quality and performance. For anyone who's planning on cutting the cord from cable companies and wants the latest and greatest, you will want to take a look. 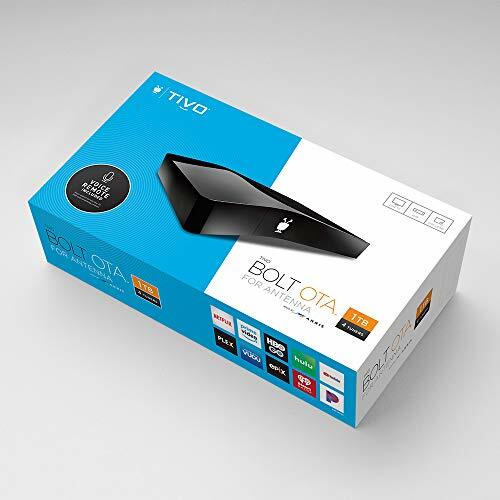 It is just like any other OTA device in that you will need your standard HD antenna to recieve the digital channels. 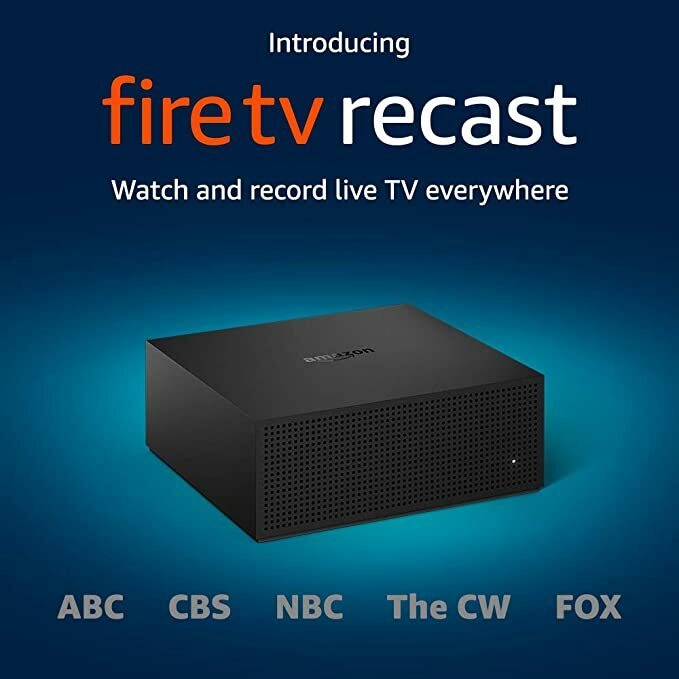 Where the Fire TV Recast differs from other devices is that it integrates right with the Fire TV streaming media player. Yeah I know it's all about having the amazon products but at this point in 2018 for families that already use Hulu, Netflix and Amazon Prime this is a perfect choice to integrate OTA channels and record them. If you are also one of those families who use Alexa, you can control this unit just like you would other devices. To recap you will need to purchase or have an Amazon Fire Stick or TV and OTA hd antenna to make the whole system work. This is the route I moved to and I did get ride of my Tivo OTA dvr since my kids always watched Hulu and Netflix. It just made it easy to use those online services but yet let me get my local channels to catch my shows and of course my fall college football games! The Tablo DVR is the new kid on the block and next generation of DVRs. It enables you to watch your favorite media streaming providers like apple-tv, amazon fire, netflix and hulu plus. When you hook up an HDTV antenna, you can also watch your personal favorite TV shows. You are not tied down to an hdmi cable to ONLY one tv. PAY CLOSE ATTENTION HERE: If you already invested in amazon video, apple tv or netflix you really want to focus on this solution. You will more than likely have all the major devices you already need. You probably have ipads or Roku devices lying around that the kids are watching their shows on those networks as well. So, all of this will play right into what you have already invested. You literally hook up this device to your router, then take your apple-tv or roku device and connect to that. Now you can stream all your streaming media throughout the house from one location. Here is what the setup looks like in the diagram below. To get a better idea. This allows you to have one spot to stream your shows and to store your recorded shows. OTA digital antenna, need this one no matter what. Hdmi media streaming device. I go over it below. Tablo is a whole-home-dvr that integrates right into your local network. (no hdmi cable) and uses the HDTV antenna to stream those available channels you have access too. Note, i t allows local access to your channels you don't get with netfilx, sling or hulu. Once the live stream comes in from the internet to the Tablo device you can do a couple awesome things with it depending on your setup. First, if you want to record it, you need to attach an external USB hard-drive. Second, you can choose to stream it out to WiFi devices like a Smart TV, Chromecast, Roku or AppleTV. Hopefully the drawing below will help describe it better. Third difference is that you actually have an app to run on your phone or ipad that will allow you to control it and to setup how you want to record the shows. The one thing I did see out of this setup is that you could have a $5 per month charge for there program subscription feature. Everyone spoke highly of it and it really made recording shows a snap. So, it's worth the 5 bucks! Last but not least for those of you who are looking for Out-of-Home Streaming functionality. If you don't know what that is, it is the ability to watch your recorded shows outside your home. You see directv and dish advertising this a lot now on tv. Click here to see more reviews and discounted prices on amazon. 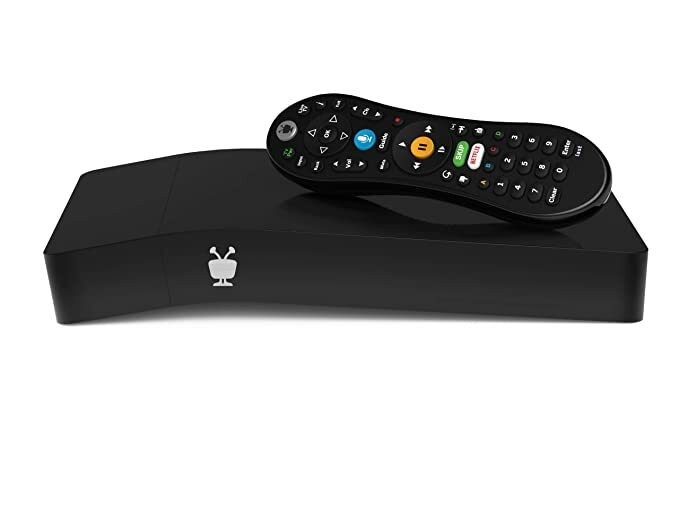 TiVo is one of the best on the block when it comes to DVR recording. They have had been in the game since the beginning. There OTA model allows you to cordless out of the box. I found myself missing a guide so I optioned to pay for the monthly subscription for the channel guide. I know I gave in, but that was a far cheap price than paying 100's for my cable bill. It was about the cost of 2 beers so I couldn't complain! I do like it better than my previous cable provider because of the navigation and I could visually see what was a channel for hours at a time. I personally went with this solution because I own an OTA antenna, Hulu Plus, Netflix, Vudu and Amazon Prime. I was able to get my local channels and all my media streaming channels controlled in one device. It has a bunch of other options to rent movies and get access to other networks as well. The setup took 10-15 minutes because of a software update and channel scanning. Otherwise it took literally 5 minutes to hook up. I can also watch a show and record 4 shows at the same time. You cannot do that with the Mediasonic has media player which is just a little bit cheaper. The 2nd reason I bought this is that I can expand it easily to other rooms. I can buy the Tivo mini for my bedroom lets say and stream my shows to there while I'm watching my own show. Lastly, you can stream outside the house if you have an android or ipad. So for less than $50 I could do all that. If you want the channel guide you have to pay an extra 14.99/mo. I was personally happy to pay this so I could look out a few weeks in advance to schedule my recordings and it also listed out in detail hour by hour for each channel. This just did it hands down. Oh yeah it comes with a 500 gb hard drive, so you roughly have 72 hours of recording. Once you activate it all you really can use it to search all your different streaming media services to find the shows you like. Update:12/17/2018. This is now discontinued. The device that wins the customer satisfaction award hands down would be theChannel Master DVR+ Bundle which gives consumers everything they need for cutting the cord easily and efficiently. It's a subscription free digital video recorder with web features and channel guide (CM7500BDL2) that knocks the socks off most competitors (remember, Channel Master has been master of its game for 65 years now). You can record two shows at once, plus watch a show concurrently. Plus, if you connect a USB hard drive to your Channel Master DVR+ you get tons of storage for your shows. There's just one drawback to the ChannelMaster, but they're giving us hope that it's only a temporary drawback. With it, you only get Vudu, and not Netflix or any other streaming service. While they hope to expand, that's still just a plan for the future and not yet part of our reality. So for the time being, stick with a separate streaming media player. It does now work with the slingbox 500 as of 8/24/2015 so that you can watch your recorded shows outside of the home. Now that you understand how to set up your complete TV-watching system that doesn't rely on cable, satellite, or monthly subscription fees for the DVR component, you'll start to wonder why anyone pays monthly subscription fees ever. TiVO in Australia is available without a subscription, so why here in the U.S. are we continuing to pay monthly fees for our DVR service? New technology makes it totally possible to easily have both streaming video and DVR without subscription in your home in no time, never having to forgo the luxury of watching recorded TV any time you want.